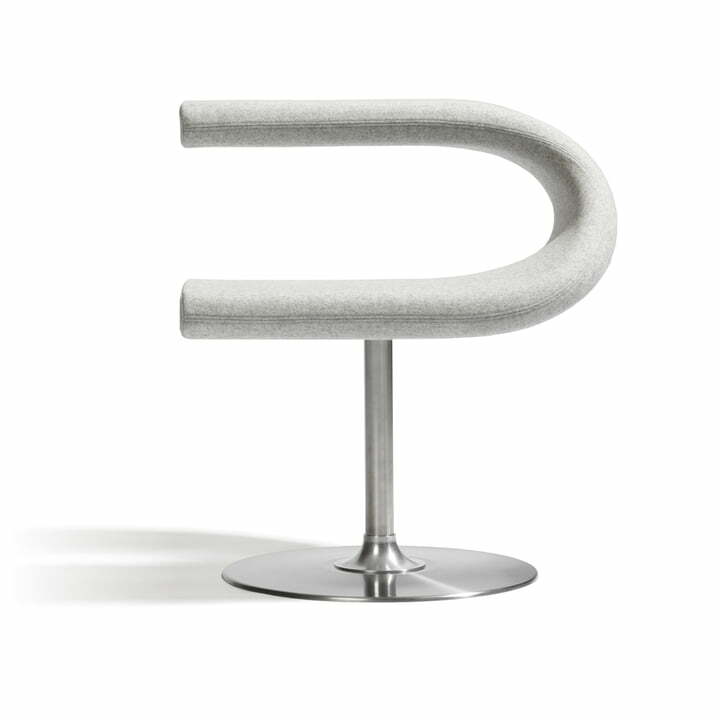 The Innovation C was created by Fredrik Mattson in 2001 for the Swedish company Blå Station. 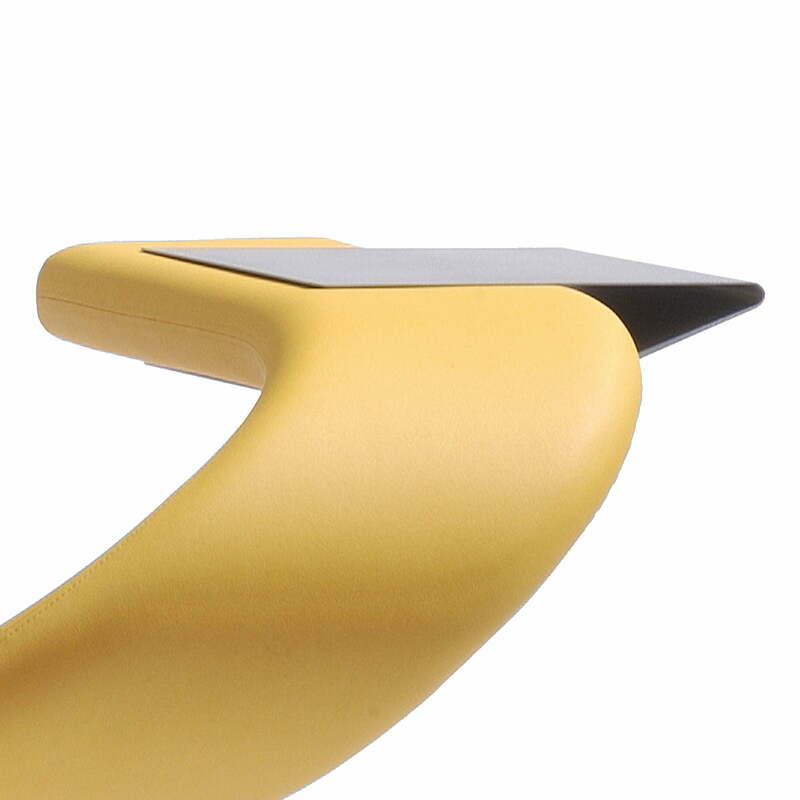 The designer created a multi-functional seating object with Innovation C which has yet to find its equal. 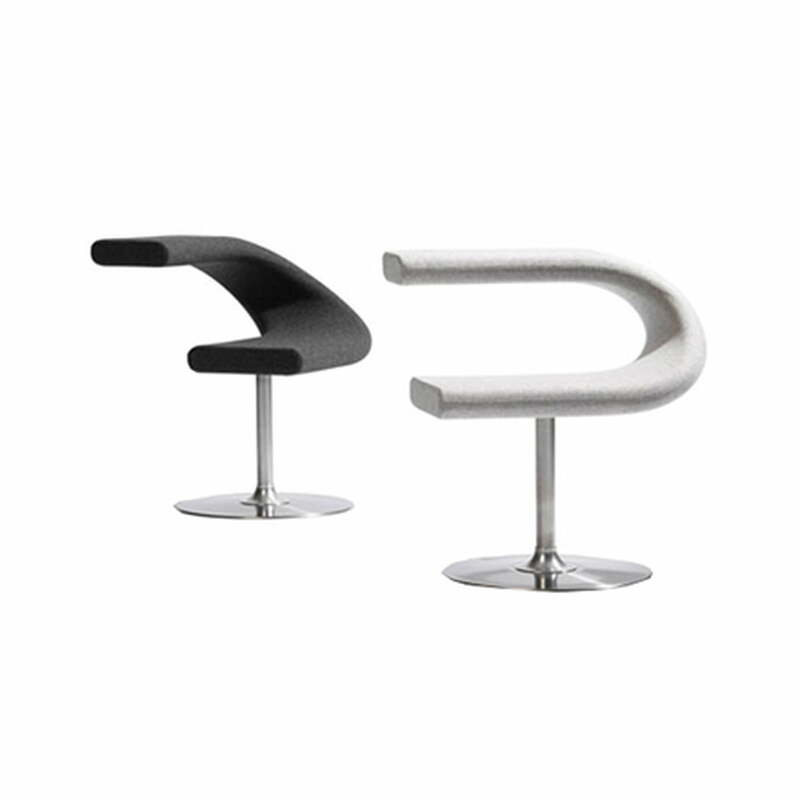 The chair reminds you more of a sculpture than a chair, Innovation C has in addition to a seating surface a rest which can be used with the help of an attachable table as a workspace or storage space (for instance for a notebook). 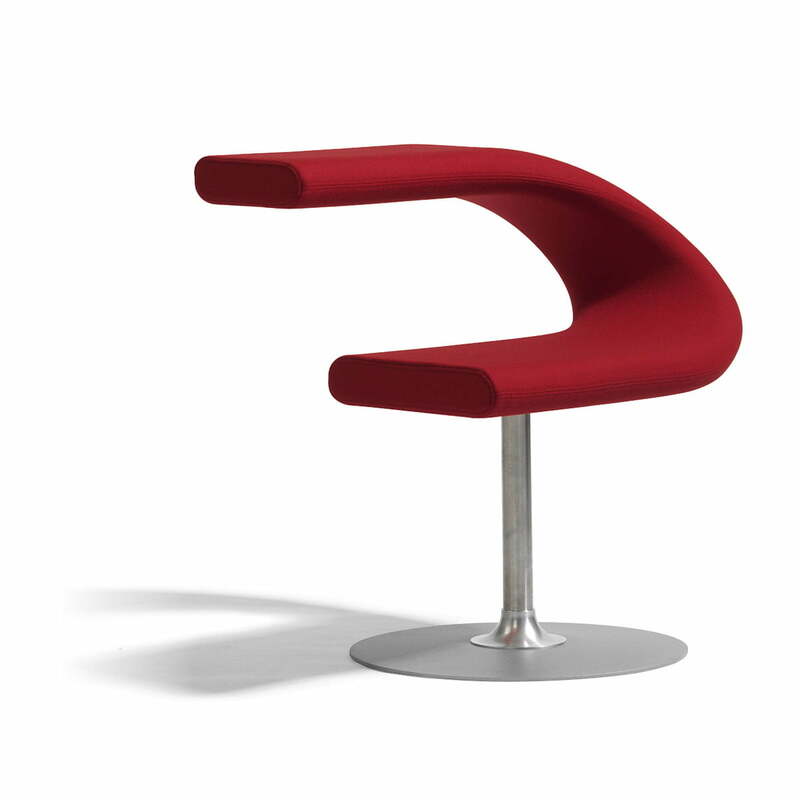 Innovation C is thus a stylish furniture object which is predestined for lounges, trade fairs, congresses or a waiting room. 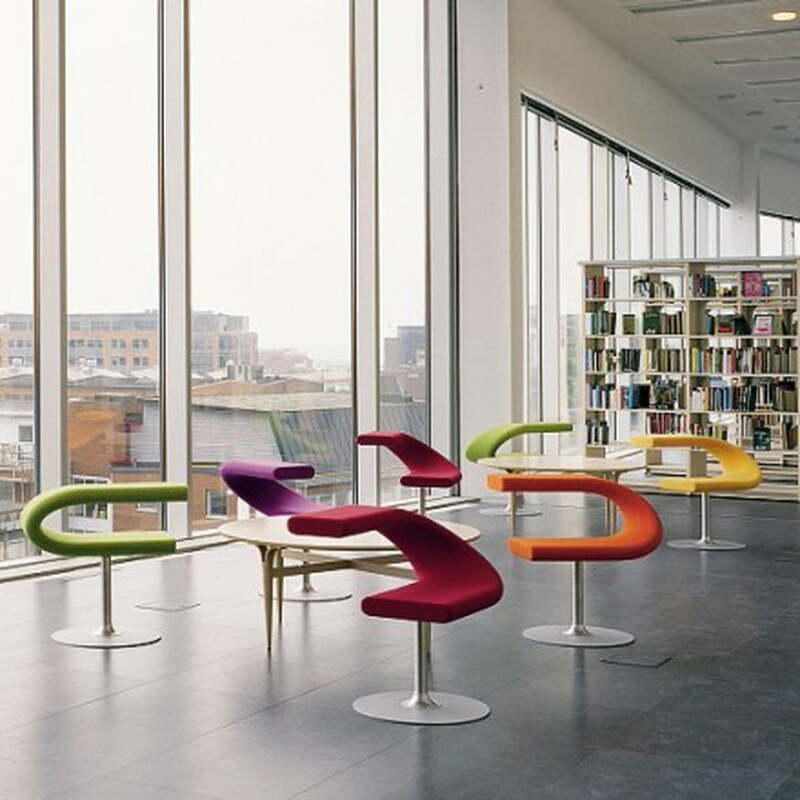 Due to its form, Innovation C offers a range of creative seating positions where the back is rested and everyone is able to find their preferred seating position. Fredrik Mattson won the Young Swedish Design Award and the Architectural Review Award, London for his Innovation C.
Innovation C is rotatable and can be free-standing or screwed onto the floor. The foot is available either in a silver varnished steel version or for an extra charge in a stainless steel version. 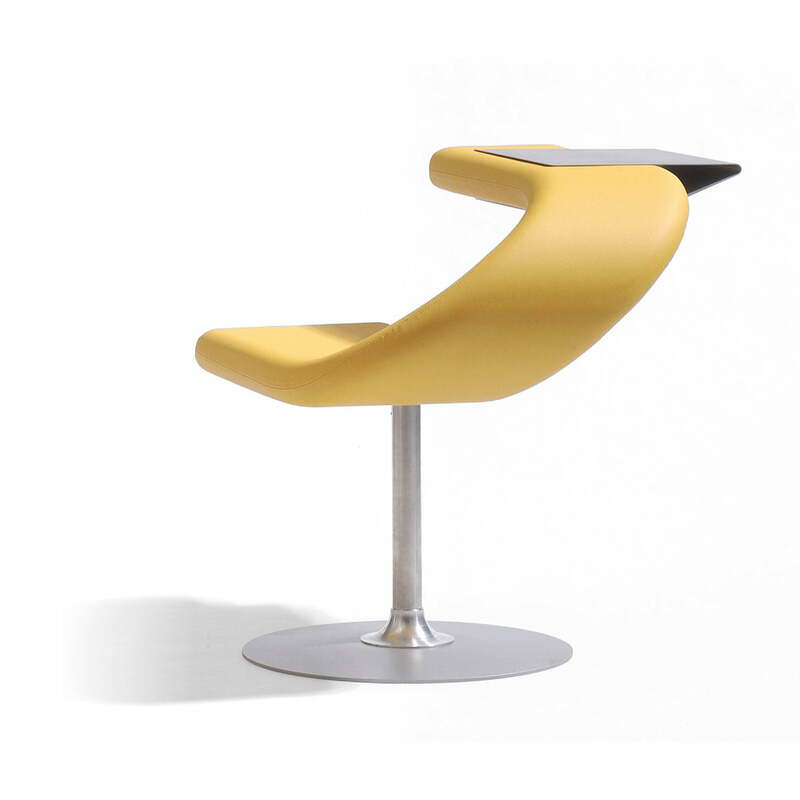 The chair upholstery is made of foamed polyurethane. The cover can be ordered either in a bi-directional stretchable woollen material or a special rubberised fabric material. You can choose amongst several different upholstery variations and also different colour variations (e.g. red, orange, black…), to select your favourite.